Course Purpose: The purpose of this course is to provide educators and out-of-school time professionals tools, ideas and activities to bring to their programs that their students can benefit from. You will walk away with at least one or two new ideas to integrate SEL tomorrow into your programs. Target Audience: We have designed this online course for out-of-school time professionals in before and after school, summer camps, school age or recreation programs. Course Description: How much time do you spend helping young people understand their emotions, recognizing a friend’s perspective, resolving conflict in a positive way, and helping them make safe choices? 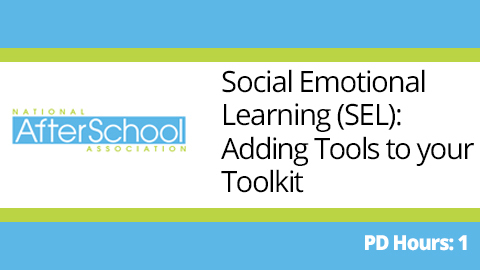 In this course you will discover the why and how of bringing social emotional learning (SEL) to your program. 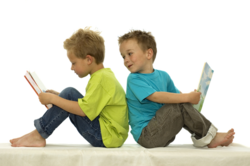 Create peace paths, cool down areas, and embrace group meeting times to give kids a better chance of understanding themselves and building relationships with others. This webinar course from the National AfterSchool Association was created to inspire out-of-school professionals to activate their programs to be a place for youth voice and meaningful engagement. You will walk away with a handful of ideas to try and the confidence that providing SEL opportunities to your students will help them success in the future. The presenter in this webinar is Jamie Garcia, Operations Director for Extend-A-Care Kids in Austin, Texas. She has also served on the NAA board of directors and is passionate about integrating SEL into daily programming. The National Afterschool Association - the voice of the afterschool profession – has over 22,000 members across the country and hosts the most comprehensive program of professional development opportunities for afterschool professionals anywhere in the United States. NAA meets the needs of both emerging and experienced afterschool professionals through enhanced training and development, increased communication, outreach and membership engagement.